I tried out SL Go today. Wow, it’s beautiful and fast. Seriously impressive from a technical perspective. 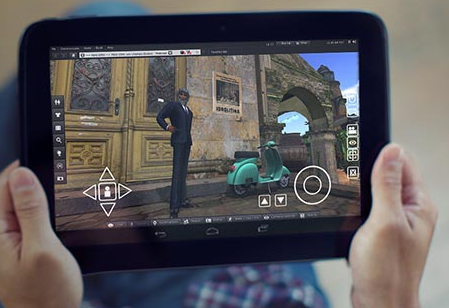 Could definitely make mobile a more viable access point for Second Life users. And beyond simply viable, I can imagine new ideas for expanding Second Life’s functionality on mobile devices to make it even more engaging and innovative (e.g., tying in GPS data, augmented reality using mobile device camera, etc.). The entire game industry has come to the conclusion that the future belongs to freemium, free-to-play, and pay-once-play-forever. The 1990’s are on the phone and they want their business model back. SL Go is a great idea with a lot of potential that will die in the nest if it doesn’t move to a modern-day pricing model. This entry was posted in Virtual Worlds by John "Pathfinder" Lester. Bookmark the permalink. hope you enjoy the discussion on this week’s podcast about SL GO! I posted a reply on your G+ but I thought I’d come in here and say it too, you’re absolutely right in thinking that the subscription rate is the key downside to this business model. I really love the idea and the way that they’ve presented SLgo, it looks beautiful. But I can’t recommend it to the college I work with because that subscription is immediately going to stop it being implemented. Somebody once said that 1 hour is 5 second life minutes.